Home / Business / How many IBDs are there in the UK? David Hyde has released the visitor breakdown figures from the Cycle and Leisure Show. How many IBDs are there in the UK? Exhibitors at the recent Cycle & Leisure Show were today circulated with the addresses of the 1355 retail outlets which attended. This is a 3.5 percent increase over the number of shops which visited the show in 1999 (1309). Daily readmissions are not included but those attending more than one day are. Of the 1355, not all are IBDs. There are also categories for sports shop, toy shop, multiple (but some IBDs with more than one store put multiple!) 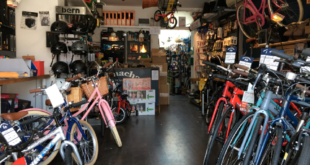 , mail order, service centre, franchise (none of the Action Bikes shops put franchise) department store, triathlon shop, builder, catalogue/showroom, cycle hire, and garden centre. Oddly enough, even though there are a number of motor accessory retailers present in the list, they are all listed as ind cycle ie independent bicycle dealers, which, clearly, they are not. According to the visitor breakdown only nine Halfords branches attended, which seems low. Some of the categorisations conflict with each other. For instance, JJB Sports has three entries: one is labelled dept store, the second is labelled multiple and the third is labelled sport shop. This is the fault of the individuals who filled in the registration cards. So, of the 1355 shops who attended a fair number can be stripped out. As a rough estimate it could be surmised there were about c.1200 different IBDs which came to the show. As there are supposed to be 2000 IBDs in the UK, thats only just over half of the total. However, this isnt as bad as it seems. 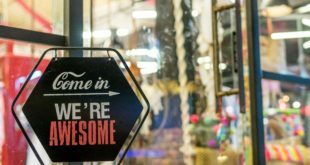 Many of the mass market brands and accessory suppliers say they have 1800-2000 accounts yet only 1400 are generally considered live accounts. Put this way and the Cycle & Leisure Show was attended by the great majority of the UKs independent bicycle dealers. Anybody who tries to claim there are three or four thousand bike shops in the UK is working from a very wonky list.